I was never a good collector. Action figures, pogs, Magic cards… I didn’t possess the drive to find them all, to make complete sets. It was too much work, and I just wanted to have fun. But the things that I did own, I took great care of. I had a dozen or so X-Men comic books, each one read gently and then stored in plastic sheet protectors. That white binder held a special spot on my shelf for years. I used to flip through it reverently, running my fingers over the colorful illustrations of my favorite characters. Rogue, the sassy Southern belle whose touch could kill. Gambit, the sweet-talking Cajun with a dark past. Their flirtation, their love. Their misunderstandings and secrets. The invisible, insurmountable wall between them. The X-Men were so damn cool. They had superpowers, adventure, and yes, sexual tension. Most of the mature themes were beyond me, but the hint that I understood was enough. I was hooked for life. Even more than the comics, I loved getting up early on a Saturday morning, sitting on the couch with my T-shirt pulled over my knees, and waiting for the glow of the television to light up the room. Every week before Chinese school, Professor X and his students battled evil — both human and mutant. Then my friends and I would continue the story after our classes let out. JM was usually Cyclops or Wolverine, and we always made his little brother Eric play the bad guys. The three of us raced around their room, jumped on the bed (or each other), and generally let our imaginations run the show. It was fanfiction before the age of the internet. As with most childhood passions, my love for the X-Men has cooled. But I still “geek out” a bit whenever they show up in my life. It’s hard to silence the echoes of your younger self, you know? The latest film was fun. Not perfect, but what is? I loved the “bromance” between Charles and Erik. I loved the humor, especially in the recruiting and training scenes. 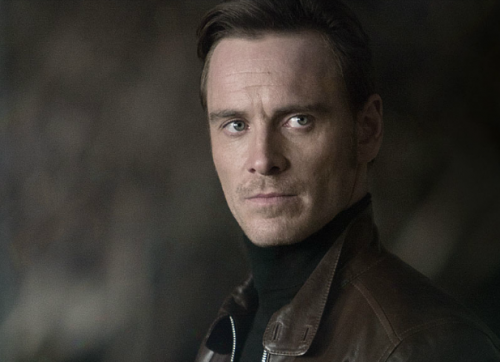 I loved the cameos, and I loved Michael Fassbender. Most of all, I loved all the memories it brought back. Of that precious binder, and those Saturday mornings, and that big dark theater in Madrid where I watched the third X-Men movie dubbed in Spanish. Sometimes it’s not about the quality of the script, the performances, or the visual effects. Sometimes it’s just about how you feel when you walk out of the theater. And me? I felt like a kid again. I read comics all the time when I was younger, but I wasn’t super careful with them and I have no idea where they’re at now. I want to see this movie, it’s definitely on my list! You’re right! There are some movies which other people say are terrible, but just made me happy at the time for whatever reason. I also read x-men comics when I was a kid. I didn’t collect them, but I’d steal them from my brother who did. I felt that way about the first movie. The story was stupid, but they got the characters right. That counts for a lot. And can we say something about how great Kevin Bacon was? And I would like to add how frustrating it is that finally we get Emma Frost and they don’t bother to write her even one line of great (witty, smart, sarcastic, snarky) dialogue. 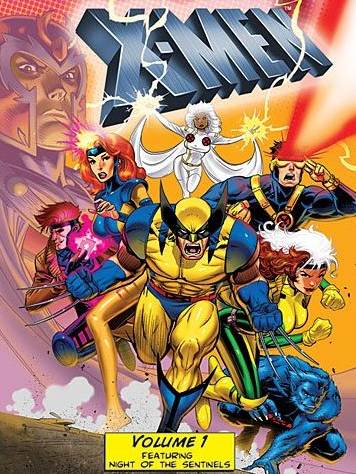 Love the X-men! Did you ever watch their tv show? Storm always scared me. Whenever I revisit something so special from my childhood – or experience it as an adult – it’s just not the same. I can’t get that experience that I want to have, or perhaps I should say that re-experience. But you can, and that’s pretty cool. It’s kind of like the way you can appreciate the movie version of a book you love. I can’t manage that either. PS- If you haven’t seen the Justice League and Justice League Unlimited cartoons, you have to watch them! I still need to see the new X-men! I honestly don’t remember Emma Frost from the comics, which is probably why I thought she was just fine in the movie. Er, yes, lol, I mentioned that above. Unless you mean a different one than the cartoon that was one when we were in middle school. Animaniac, yes! Gargoyles and Spiderman I never got into, for some reason, but I also loved Batman and Superman (pretty much all of the cartoon editions). I’ve never seen Justice League! LOL funny, my boyfriend is the same way about Jurassic Park! We are always watching those (at like 1 am on weekends, for some reason). I can’t relate to the X-men. Sorry. I hate to admit I’ve never read or watched them. What actually stopped me while I was reading your post was your mention of attending Chinese school. That sounds fascinating!!! I keep hoping you’ll write more about your cultural heritage. It seems like you’ve touched briefly on it a few times and I always want to know more.